NOTE: The Fairlead is a publication of the Royal Offroad Vehicle Expeditionary and Recreation Society and is published every now and then. The opinions expressed in the Fairlead are not an endorsement of any product or practice. No responsibility is accepted for any damage or injury which may result from their utilization. R.O.V.E.R.S. 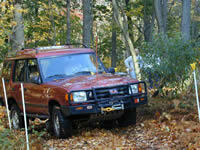 (ROVERS Club ) is an incorporated Land Rover club (Series Land Rover, Range Rover, Defender , Discovery and Freelander) serving the Mid-Atlantic region (including Pennsylvania, Maryland, Delaware and New Jersey). 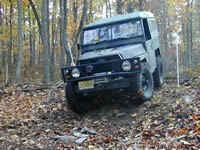 Membership is open to all Land Rover enthusiasts. 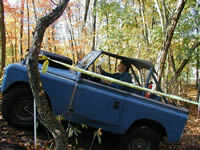 The club plans and participates in off-road events, picnic, rallies, car shows and shop days. We also publish a newsletter The Fairlead every now and then.